I was humming a romantic tune,standing near the magnificent fountain,looking stunning in a white Cinderella gown. The little fairies surrounding me were dressed in pretty little white dresses. The dark looking clouds gave signs of approaching rain. It was a perfect day! The whole palace was decorated with white orchids and red roses. The path along the palace which led to the main gate was surrounded with beautiful crimson daisies. My happiness knew no bounds. I held my Cinderella gown and ran towards the entrance of the palace. A couple of fairies followed my pace as if in warm respect. I looked everywhere but still couldn't find him and then suddenly, my heart skipped a beat. There he was, as handsome as ever, riding towards me on a white horse...My Prince Charming! Then--TRING!- the fairies started danci---TRING! TRING!- and my charming Prince-TRING! ''What the!'' I woke up with a jolt. The bedside alarm was whining like a Minion on the loose. TRING! TRING! TRING! "Oh shut'' up!" I snapped and shut the alarm off. Darn! It was such an awesome dream. I said dreamily trying to recollect everything I had dreamt of, but in vain. My head went blank and I couldn't recollect a single thing... I looked at the alarm clock and gave it a threatening look. As if in angry response,it started whining again. With a jolt I realized that it was 8:00 clock. Oh no! I don't want to be late! I shut it off again and hurried to freshen up. I was humming and singing all my way to the restroom. Life was so beautiful!-Actually, it was Awesome! So much had changed since my last birthday. A few years back, if one of my friends would have even mentioned 'Love' I would have changed the topic and urged them to talk about something else. But now, just the word felt so warm and inviting. Back then I hated rain, just a feeble drizzle would spoil my mood, but now, I loved rain! Oh yes I did! Getting myself wet along with him, and talking about sweet nothings had become my favorite hobby. I had developed a new inkling towards romantic songs and novels. Every time his name was mentioned, my stomach would be in knots and my face would blush-In short : I was in Love! Truly, madly, deeply in love! The best thing was that he loved me too...or did he? He had never confessed...but I could see it in his eyes...The way he talked to me, the way he cared for me, the way he laughed at my silly jokes, the possessiveness, the sudden hugs and of-course, the countless times he said he wanted to be with me!...and besides,yesterday night, he did hint that today was going to be a big day for both of us! Was he going to propose to me? Did he love me as much as I loved him?....and the same old doubts and questions started crowding my mind. I shook my head and shooed all those thoughts aside...this was not the time to ponder on things which didn't even matter. Today was a big day! "God! Please let him confess his love to me!" I prayed "If he doesn't,well, I can't wait anymore. I'll let him know what I feel for him!" I decided. Just then a loud horn of a car sounded. My heart skipped a beat. Oh my God! He has come to pick me up! I did my last make-up touch ups, and after quickly looking at myself in the mirror for like hundred times, finally, I went out to greet him. I waved at him from the door. He gave me his best smile and waved back. My heart was doing a kind of somersault and suddenly my legs went wriggly out of nervousness. 'Did I really want to spend my entire life with him?' The answer came rushing towards me in an instant-Yes!Yes!Yes! Like him, there are none"
Screw the world and the dubious alarms! ...and in an instant, all my doubts evaporated. I ran towards him and hugged him tight. At first he was surprised by my sudden reaction but then, he responded, bringing me closer and closer... The hug seemed to go on for an eternity. None wanted to let go. This was my world...though imperfect, it was just perfect! Then finally we let go of each other. I was blushing like hell. He lovingly brushed my hair against my face. We exchanged several glances without speaking a word. Every time I looked into his eyes, they spoke to me...the love I saw in them was beyond comparison. "Shall we go now?" he said "I have a surprise for you"
"Where are we going?" Finally, I found my voice. We were driving down a rough hill. "Remember you used to keep telling me about this place you loved?" He said "I thought I should take you there, but turns out, I can't wait anymore.Not even for a second!" He said, pulling out a small velvet box from his pocket. My happiness knew no bounds.He had brought me a beautiful diamond studded platinum ring. I stared at that shining piece of metal,blushing and smiling. This was everything I had ever dreamt of! My perfect world! Oh God! Please let this not be a part of my dream! I prayed. "I Love You...I have loved you every minute every second of my life since the day I met you.Will you please marry me?" he said slipping the gorgeous Platinum ring into my finger. "Yes! Oh yes!" I replied, happiness written all over my face. This is indeed a fairy tale! I thought. My eyes were filled with tears of joy. This was my Platinum day of love. As we looked into each others eyes, the car lost control and fell down the cliff. I opened my tired eyes with great difficulty. The surroundings were white and daunting. A sudden whiff of disinfectants and medicines caught my nose--I was in a hospital. A nurse was fast asleep on a chair close to the bed in which I lay. My head kept aching severely, I tried to recollect the past.... We were driving...the car had fallen. Suddenly, shock took over me. AYMAN! AYMAN! I cried... The nurse got up and started screaming.... "Miracle! Oh this is a miracle!" My eyes kept searching for Ayman. Suddenly, I saw him. He entered the room. I calmed down a bit but...but..but...it wasn't him!...It couldn't be!....I think he is Ayman's father...but why is he crying? He came closer and held my hand. I could see the pain in his eyes...Tears were trickling down those luminous eyes I had always adored. "Welcome back my love" he said, kissing my wrinkled hand, which was laden with plasters. "10 years my love. 10 years I have waited for you to come out of coma" he said hugging me. I lifted my hand to wipe my tears, a cold metal brushed my face. It was the platinum ring. I looked at it lovingly and kissed it. It was the souvenir of our love. Ayman could have forgotten me and easily married someone else. But he didn't do this as his love for me was eternal and true_just like this platinum ring. He could have left hopes of even seeing me again but his love and hope had brought me back to life--brought me back from the dead! It had been a decade since that car accident but Ayman's love for me remained as fresh and true as that very day, just like Platinum. I am ready to fight time and fate. My love for you is an intricate affair! 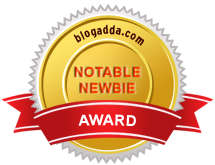 This post is for the Platinum Day Of Love contest held by Indiblogger. All the sketches and content above are my work. Nice touching story, Bushra. Love & Platinum survive. Great sketches & rhymes, dear! What a story! How beautiful sketches! All the best for the contest! [ Smiles ] Beautiful and romantic! Very lovingly written and the personal sketches are like icing on the yummy cake. The sketches are so beautifully done! Loved those romantics free verses in between as well. Nicely done. Best wishes for the contest ma'am! Lovely piece of writing and sketching. Keep it up! Lovely story and I love your drawings. So cute!!! lovely sketches...and obviously writings too as always..! Loved ur post and the sketches are super cute! Wish u luck for the contest!! Thank you Priya :) Glad you liked it! Thanks for dropping by and reading the post Vanessa :) Glad you liked it! Nice post, Sure to win one more prize. All the best. Hi, its a lovely story and beautifully narrated. One of the best love stories i read. I am from PGI (Platinum Guild India). Congratulations, you have selected and we would like to know more about your story. So Kindly send me your contact details through email. Write your and your partners full Name, Contact Number.